Some of President Donald Trump’s staffers—including acting Chief of Staff Mick Mulvaney—had a thirst for revenge after reading House Speaker Nancy Pelosi’s (D-CA) State of the Union letter. 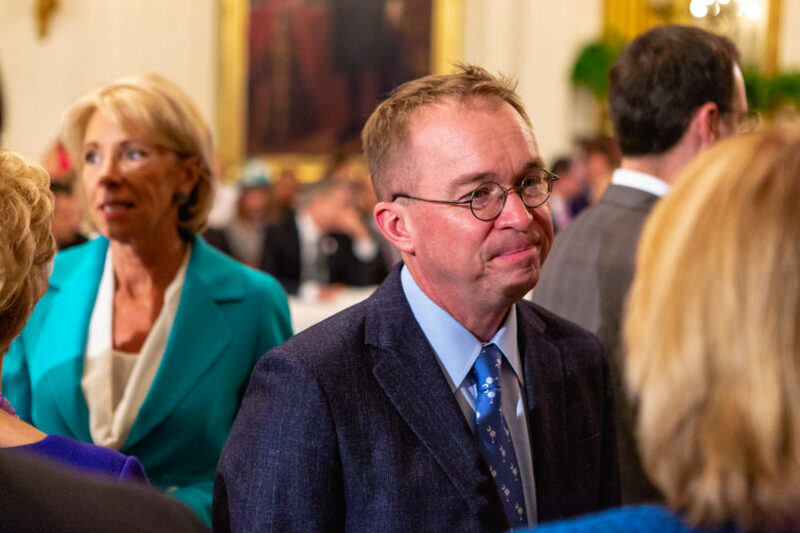 According to a Thursday New York Time report, Mulvaney and the other disgruntled aides goaded Trump to knock her down a peg especially after her proclamation about the legislature being a coequal branch of the government. The team thought that grounding her was the easiest way to get revenge, and were reportedly gleeful when Trump acted on their suggestions.